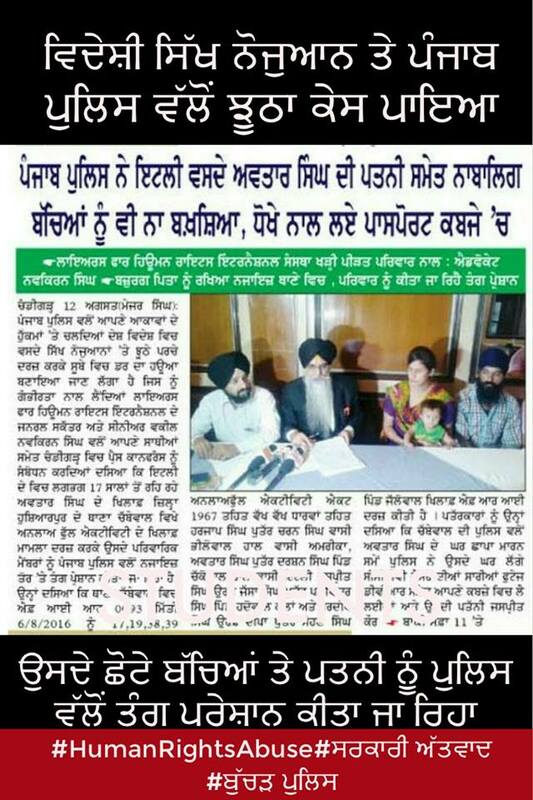 Chandigarh , August 11, 2016 : Lawyers for Human Rights International (LFHRI ) has alleged that the Family of Avtar Singh Italy, booked by Chabbewal police station,was being harassed and kept in illegal custody His father Darshan Singh at 9.30 PM was in illegal custody of Chabbewal police station. 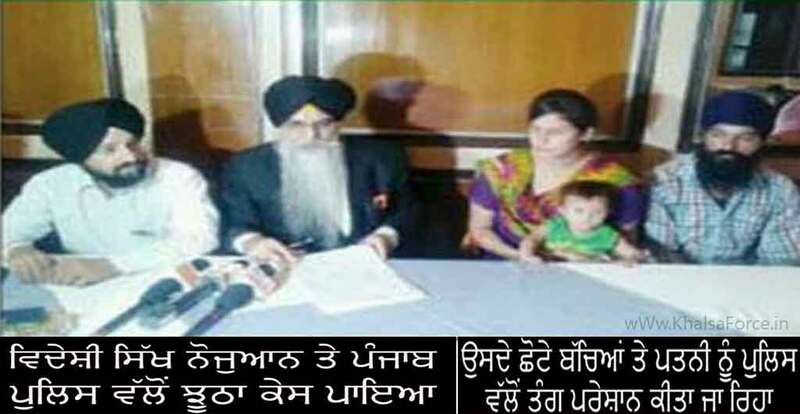 The passport of wife of Avtar Singh and 2 minor children has been taken in custody by Inspector Kulwinder Singh. Advocate Navkiran Singh , General Secretary of LFHRI , in a message sent to SSP Hoshiarpur said that he should ensure that law of the land was not by passed and human right violations do not take place. He said that the police has a right to investigate a crime but cannot commit human right violations in the garb of maintaining law and order. Avtar Singh Italy was falsely implicated at Chabbewal police station. His father Darshan Singh was in illegal custody. Navkiran Singh also asked Sukhbir singh Badal to ensure that innocent families are not harassed. It may be recalled that the Hoshiarpur police, on Monday, claimed to have busted a Khalistan Liberation Force (KLF) terror module with the arrest of three youths, who were in touch with some radical NRIs and Pakistan’s Inter-Services Intelligence (ISI).